As promised last weekend, here's the other dessert that I made for Ryan's birthday. We Filipinos call it Egg Pie. It is available in almost all bakeries in the Philippines and is enjoyed by Filipinos either as dessert or snack. It looks like a giant Egg Custard Tart usually found in Chinese restaurants, and is basically the same as the Classic Egg Custard Pie. The difference is just in the type of milk and flavoring used as well as in the appearance. We, Filipinos, use evaporated milk in our Egg Pie, and instead of nutmeg, we simply used kalamansi juice or rinds for flavoring (Kalamansi is a small round citrus like lime, common in the Philippines whose peel is sweet and whose fruit is sour). And unlike the Egg Custard Tart and the Classic Egg Custard Pie, our Egg Pie is dark brown on top. There is this bakery in Calapan City (where Ryan & I grew up) named Halina Bakery which sells the best tasting egg pie! It is owned by our elementary classmate's family...and it is where both Ryan & I had our first taste of this very delightful dessert! I grew up loving it...same with Ryan! Now that we are far away from home, learning to make it on my own is a must. Glad that a friend of mine was nice enough to share this recipe with me. Not only can we enjoy it anytime we want, Ryan and I can also share one of our childhood favorite with our daughters! Though it's not Halina Bakery's recipe, it's close enough and definitely tastes like it! 1. 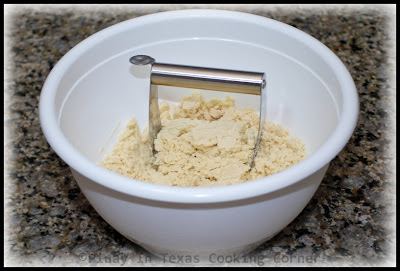 In a mixing bowl, combine flour, sugar and salt. Mix well. 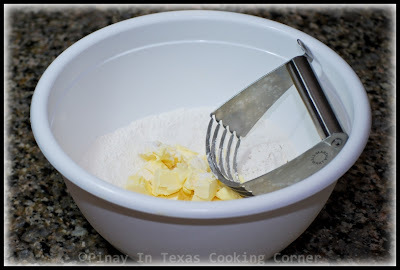 Add butter and mix thoroughly with other ingredients using a pastry mixer. 2. Gradually add the cold water to the mixture. Continue mixing until all the ingredients are well combined. 3. 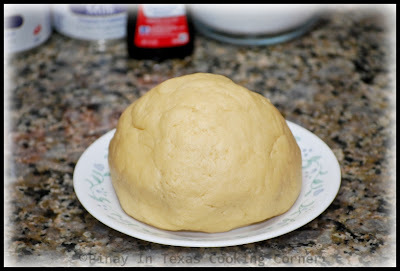 Gather and shape the dough into a large ball. Refrigerate for at least 30 minutes. 4. 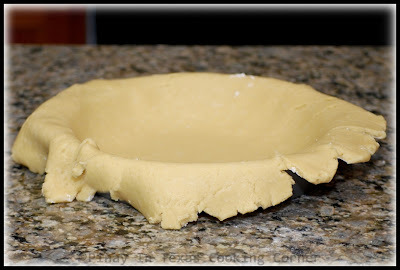 On a clean flat surface sprinkled with flour, flatten the dough using a rolling pin into about ½ centimeter thick and wide enough to cover a 9" pie pan/dish (I broke my pie dish so I just use a regular round baking pan). 5. 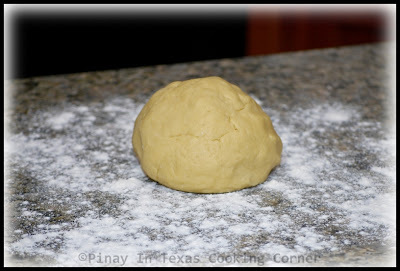 Arrange and press the flattened dough on the baking pan or pie dish. Use kitchen shears to trim the dough to about a half-inch overhang. Save the scraps. 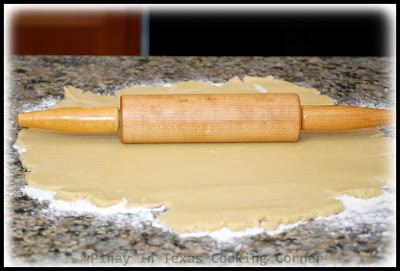 You can use those to bulk up thin areas of the crust when you're fluting the edges. 6. Crimp the edges either with a fork or by pinching around the edge with your fingers. I did the latter. Keep the dough in the refrigerator while making the filling. 2. 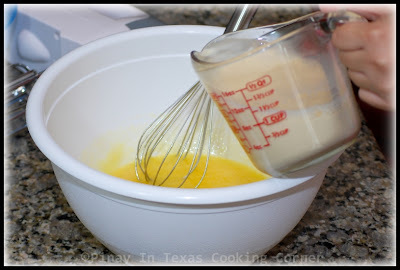 In a large mixing bowl, combine and whisk the 4 eggs and the separated egg yolk. Gradually add the condensed while whisking. Add the vanilla extract and lemon juice, and continue whisking until all ingredients are well combined. 3. 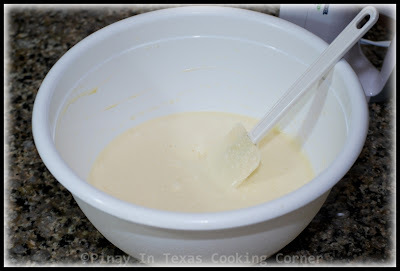 Add the evaporated milk and mix well with other ingredients. 4. 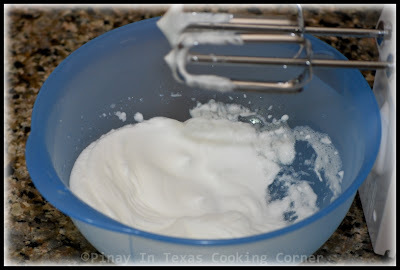 Using an electric mixer, beat the egg white until it forms soft peaks. 3. Remove the egg pie from oven and allow to cool down. Serve with your favorite drink either for dessert or snack. Tina, this is such a lovely egg pie recipe. I do remember having a lot of this from our local panaderia. I love the brown top on the one you made. My husband loves custard tarts but the ones we have here is topped with nutmeg which isn't exactly my thing. I DO love this pie! I've never heard of kalamansi, but I'm going to keep my eye our for it. Thanks for sharing this wonderful recipe! Your egg pie looks beautiful with the brown top! Using kalamansi juice is so different. It looks delicious! 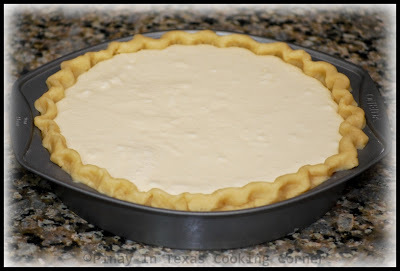 Gorgeous pie - looks ultra smooth and creamy! Now this is one I've never heard of before. Great step-by-step photos! Beautiful pie! And I like the fact that you used evaporated milk instead of condensed milk. Each time I see a recipe with condensed milk I cringe ... so sweet! ... unless of course it's for caramel. Great job! This is different then the one we have here Tina, ours is the small ones compared to your recipe. That sliced pieces looks fantastic,nice firm filling inside. Hi Tina, I’m Back From Finland, Arriving With Mr Angry Bird! It's so nice & fresh to see your recipe after my absence :) Yum! Belated birthday wishes to Ryan. This egg pie looks awesome perfect Tina. Do you know I have never had an egg pie before! I have seen them many times but never taken a bite! Why is that? This looks phenomenal! hi! i'm so happy when i saw this recipe of egg pie! it's one of my favourites in my philippines!!! i wanna try to do your recipe on Sunday & let my italian boyfriend taste it! just have a doubt on the can of evaporated milk...do you use the small can or big one? You sure you own that recipe? Or do you need to give credit to "Panlasang Pinoy" website???? Hi Mr./Ms. Anonymous! I didn't say that this is my recipe. But I honestly don't know if this is from Panlasang Pinoy.A friend of mine just shared this recipe with me after I tasted the eggpie that she brought to a party. Love egg pie, but this is the best one. I have just baked this today and this... was great! Really yum!!! I honestly haven't tried it, but I don't think you can attain the right consistency and browning of the eggpie using a microwave oven. Browning requires higher heat and a roasting oven. When you cook in a microwave oven, the effect you get is similar to poaching or boiling. Tried for potluck, it was a hit! Kids even love it. Thanks Tina! 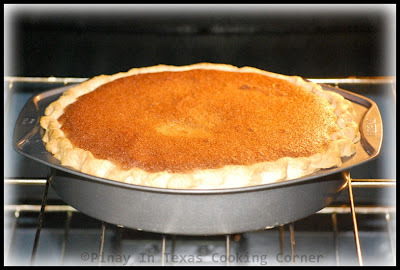 i tried to make this but my eggpie was watery even after puttin in the oven for over an hour. and is it okay if i half the sugar? i find it too sweet. what size of eggs do you use for this recipe? ..... love your egg pie, how did you remove the pie from the pan? Regarding your question, scalding milk is necessary in making this egg pie because it can help jump start the cooking process thereby cutting the cooking time. It can also help infuse the milk with the lemon and vanilla flavor. But be sure the milk isn't too hot (only up to 110°F /43°C) so as not to cook the eggs. 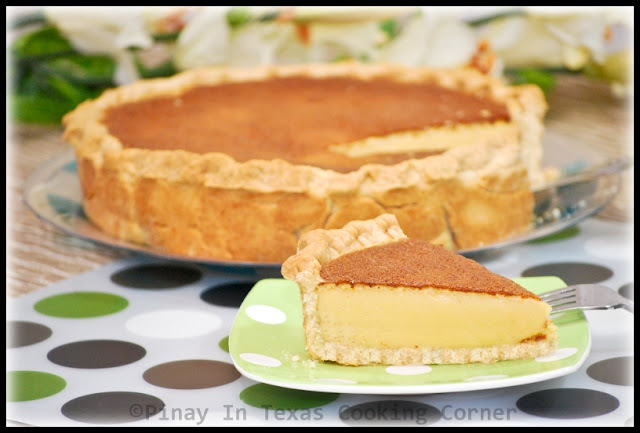 As for the crust pricking part, it is needed to allow steam to escape, but I don't suggest pricking the crust for one-crust pies like the Filipino egg pie. 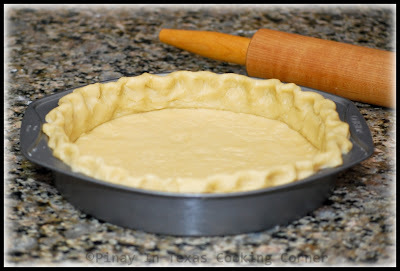 If you prick the crust, the filling will seep under the crust during baking and can make the crust soggy. If you have enough time, you can prick the crust but you will have to blind bake it so it won't turn soggy. 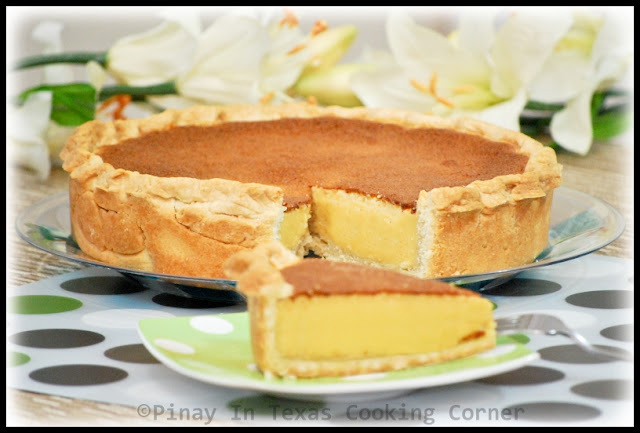 Hi Tina, stumbled upon your blog while searching for pinoy style egg custard pie and tried your recipe yesterday. I was very pleased as it turned out great despite it being my first attempt at trying this egg pie. It's not too sweet and the texture was just right by baking it for 55 min altogether. My hubs loved it. The top crust is flaky and has a nice texture but the bottom isn't and I know because it's not pre-baked prior to pouring in the egg mixture. Next time I'd bake the dough for 10 min before I pour in the egg mixture and it might help. Thanks for sharing your recipe. You're welcome! You're right, blind baking would help. Sarap naman! I am planning to bake egg pie today but I don't have lemon juice. Husband is going to use the oven for the bbq pork. Arg! Can't wait to try this recipe. Good luck, Marms! Hope you'll like it! I haven't tried baking egg pie using an oven toaster, and I am sorry I can't try it because I don't have a big oven toaster. But I guess it could work. You will just have bake the egg pie longer and you have to blind bake the crust first so it won't turn soggy during the long baking time. Ang sarap naman! I've never tried making this so here's a question from a novice: did you have ahard time taking the cooked results from the the baking pan? I bet if I did, I might drop it, lol! I'm glad I found your blog. keep up the good work! Hi! How did you unmould the pie from the baking dish? I am planning to give the pie and wouldnt want to give away my baking dish. Alternately, do you think I can bake the pie in a disposable aluminum foil instead? Thanks! What size of round pan should i use? Errrmm.. Can i heat the milk using electric oven? You can just heat it up on a stove top. Kalamansi/lemon helps eliminate the eggy smell and after taste in your custard. Thank you so much for sharing! This has got to be the best recipe I've seen, out of all the others. The step-by-step photos are a great help! This dessert brings back great childhood memories! Once again, thank you! Oh my! O just love egg pie. I have to try this. Thanks for the recipe and procedure.